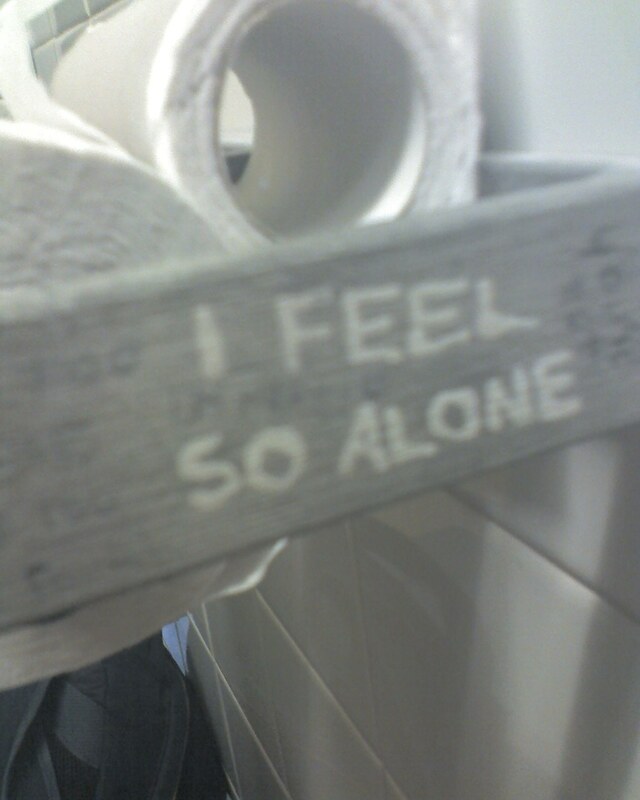 People on my campus seem to really enjoy scawling graffitti in the bathrooms. In some of the bathrooms there is barely any undecorated space on the back of the doors. It seems no topic is off limits in their scawling- sexuality, ethics, politics, religion, mental health, relationships and many other topics. People ask for advice and respond to other people’s graffitti. Some write a few words, some write paragraphs. There even seems to be someone who considers it an evangelistic ministry as bible verses and C.S Lewis quotes make an appearance occasionally. Sometimes it can make for entertaining reading. Sometimes though, I can’t help but feel a little disturbed and sad. What have we come to as a culture when some people feel their best avenue for confessing their struggles and talking about their problems is to write it on a bathroom door and hope that a stranger may write back? You'd have to be pretty lonely. It is surely not a healthy sign for our society. As Christians we tend to be pretty into changing the world and reforming society. Often the big things we plan are great but reading the bathroom doors I can’t help but wonder if what we also need to do is lots of little things. Some hugs. Some kind words. A few minutes to listen to how someone is really feeling. Certainly not flashy but imagine what a difference everyone feeling cared for could make.